Enjoy a nice cocktail with a little naughtiness. 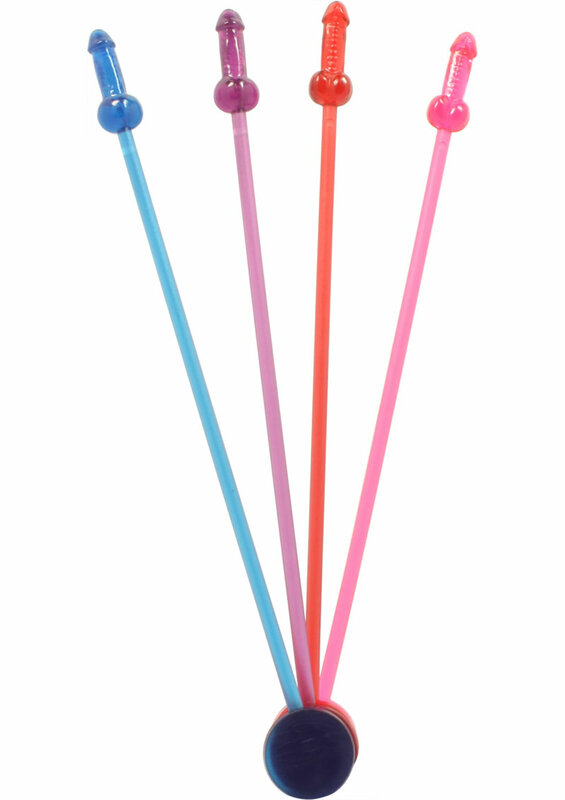 A package of 16, 4 different colors of stirrers. Is everyone enjoying their HARD liquor? Great for bachelorette parties and other ladies` nights out.